As recruitment mediators, the industries we serve are across the spectrum. 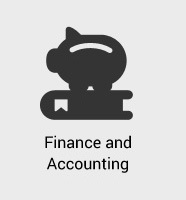 From finance and accounting, banking and insurance, infrastructure, ITES, IT, Hospitality, Retail and Healthcare, we cover it all. From sourcing the executive to the technical human resource requirements, Alza Karriere offers a value-added recruitment experience. 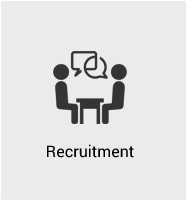 Alza Karriere provides a world class, enterprise-wide recruitment service in the F&A Sector. We match the sharpest number-crunchers with the top echelons of the corporate world. Our service combines up-to-date industry solutions with deep domain knowledge and expertise. 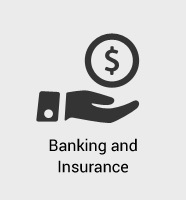 This drives banks and insurance companies to improve services, customer satisfaction, and bottom lines. We keep an eye out for the best candidates to fill the desks of the top banking and insurance jobs. We are always at your service to offer you intelligent, reliable and seamless personnel resources in the infrastructure sector. Alza Karriere’s staffing solutions ensure responsible and enterprising manpower in this category. Information Technology Enabled Service is an outsourcing of processes that can be enabled with information technology. This opportunity-rich field covers diverse areas like finance, HR, administration, health care, telecommunication, manufacturing etc. When in collaboration with Alza, you can be assured of able and capable professionals for this sector. With vast experience and networks in this sector, the team at Alza Karriere is well-geared towards understanding the requirements and potential of the IT sector. We work keenly to see abundant growth in this industry. Therefore, it is a given that we work towards providing you with candidates who possess both onsite and offshore expertise. We also enlist probable personnel who are professionally and particularly qualified for specific functions. Our retail candidates are those with a thorough knowledge of the sale of merchandise from department stores, boutiques or kiosks, or by mail. 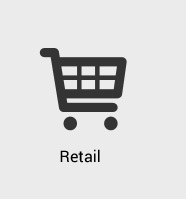 We ensure that the finest retail brands are staffed with the brightest and best of employees. 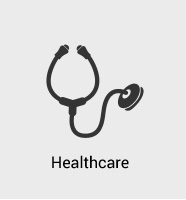 The changing face of the health care sector, which includes evolving technologies, the presence of legacy systems, and a need for better management control calls for a recruiting partner such as Alza Karriere. 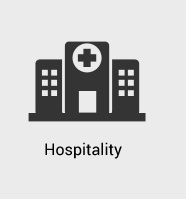 We are equipped with significant expertise in the health care domain and also know the value of ‘good beside manners’ and personal attention to detail. 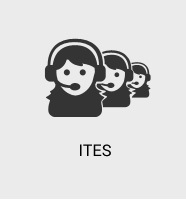 We also offer the following end-to-end recruitment services for all levels. Today, our businesses rely entirely on IT to run their operations. The significance of top quality IT Services delivery and management cannot be overemphasised. 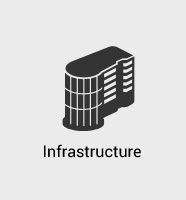 Based on this basic bottomline, we at Alza Karriere have designed a bespoke IT Services business model that offers value-additions, cost-effectiveness and assures predictable outcomes. Our wide and deep experience in dealing with IT companies and their professionals has helped us establish a rich base of talent. From this network, we have created a dynamic foundation in the area of consultancy. Expert-aptitude, innovative energy and razor-sharp professionalism are standards that we abide by with regard to all our projects. The Alza Karriere team is a dedicated channel to advising your business how best to meet its objectives, gaining maximum utility out of its information resources. With unwavering commitment, we help you make the decisions that will lead up to single-pointed excellence. We take time to guide you towards newer, more productive horizons. Today’s technology is such that what’s here today is gone tomorrow. With constant evolution and updating, it is crucial that well-crafted application development and maintenance strategies are in sync with business strategy. Alza Karriere is always one step ahead with our experience in robust, cutting-edge software development and our in-depth knowhow of optimized development methodologies and life cycles. We help companies connect with high quality IT professionals that help them meet the most challenging of deadlines with absolute ease. We also provide our clients with completely managed end-to-end application development and ongoing maintenance solutions at both enterprise and entrepreneurial levels. Some of our core strengths lie in helping clients take stock of the various legacy applications, create a Buy vs. Build decision matrix, consolidate IT programs and re-evaluate maintenance programs. The end goal: to be assured of the most optimal, efficient and cost-effective release cycles. Today’s technology has made it possible to generate and distribute volumes of real-time data at lightning-speed. Harnessing this intelligence to aggregate, analyse, and monetise this abundance of data is a topmost priority for any ambitious business today. At Alza Karriere, we bring Business Intelligence to companies by assembling the pick of Business and Data Analytics staff. 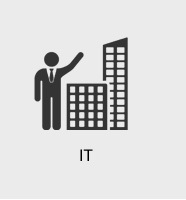 Our professionals possess rich expertise in IT business processes, advanced analytic techniques and development of real-world applications. Our expert team covers the entire spectrum of services – from organising to extracting and transforming data to mining and analysing them, and ultimately, utilising effective Business Intelligence. Critical business decision making is a smooth process with our BI and Data Analytics team. Place content of your choice in html elements to be displayed in tooltips.